As the most read news website In The World, the BBC website gets a lot of eyeballs and their new redesign debuted this morning has provoked a lively discussion on Twittter. 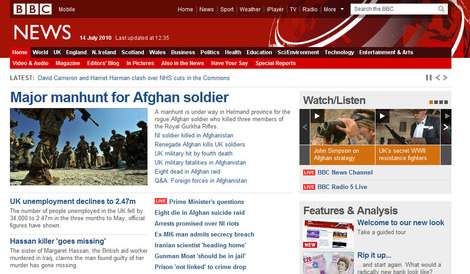 The BBC say that the new layout makes video more prominent and top stories clearer and that it makes it all easier to read. They’ve also shifted the navigation to the top and put more recommended stories at the bottom. Personally I’m all in favour of the better video player but I just find that new font hard to read, are the lines more squished together or something? What do you think? Months on and I still miss the old layout. It looked elegant, it was efficient and you knew where you were. The new layout still looks like a mess, like there’s nothing there on the page, pictures and stories somehow don’t connect, it is all so cumbersome. I think the BBC was mistaken to copy other commercial news websites’ layouts. They are designed to hide adverts between the important stuff but the BBC does not carry adverts. After saying that, I am still using an old 4:3 screen, so I don’t know, maybe it looks a lot less annoying viewed from a 16:9 screen. 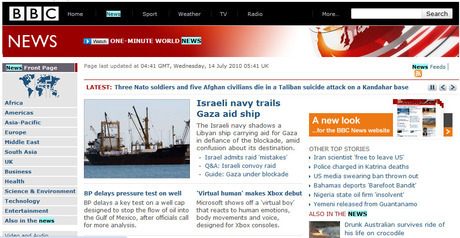 you can trust the news of bbc because it is world best known news channel .